Episode 311: Walter Jon Williams, Kelly Robson and Helsinki! And now for something special! 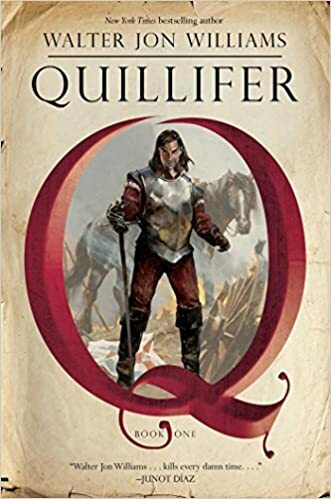 During the recent WorldCon, held in Helsinki, Finland, Gary and Jonathan took to the stage to talk to WorldCon guest of honor Walter Jon Williams and Campbell Award nominee Kelly Robson to discuss Walter’s career and his new novel, Quillifer. During recording we were fortunate enough to be able to give away copies of Quillifer to lucky convention attendees thanks to the generosity of Saga Press. We were a little limited by time (panels lasted exactly 45 minutes in Helsinki) but the conversation flowed and we hope you enjoy it as much as we did. Our special thanks to Walter Jon, to Kelly, and to the tech team at WorldCon 75 for making this possible.